The Bin Laden family remain one of the most influential families in Saudi Arabia after gaining vast wealth in construction. 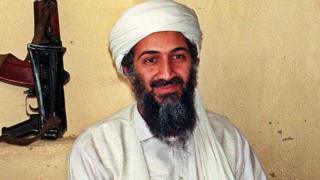 Bin Laden’s father, Mohammed bin Awad bin Laden, divorced Alia Ghanem three years after Osama’s birth, and had more than 50 children in total. 1993: His family expels him as shareholder in the family businesses, and the Saudi government revokes his citizenship.